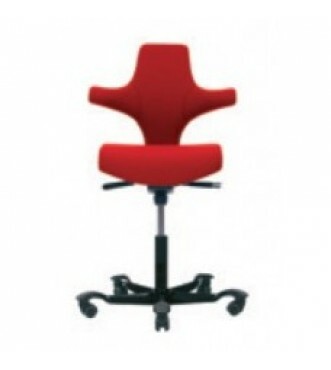 HÅG Capisco™ A design icon – still going strong. HÅG Capisco responds intuitively to the body’s natural movements and provides unlimited possibilities for variation of the seated posture. 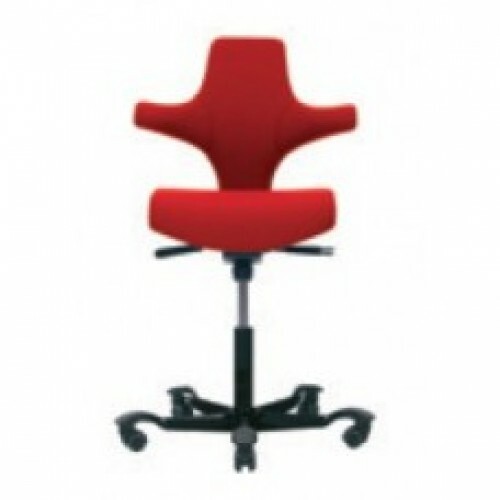 The unique shape of the backrest provides perfect support in numerous sitting positions without restricting the ability to move and is made for greater freedom of movement, variation and natural sitting positions. The saddle seat can be adjusted between low and high working positions, all the way up to standing, enabling you to be more dynamic in your movements. It’s perfect to pair with a height adjustable desk. Seat Height: 150mm Short Cylinder - 16.4" to 21.5" 200mm Standard Cylinder - 19.1" to 26" 265mm Tall Cylinder - 22.4" to 31.9"
Standard 200mm Cylinder - 19.1" to 26"